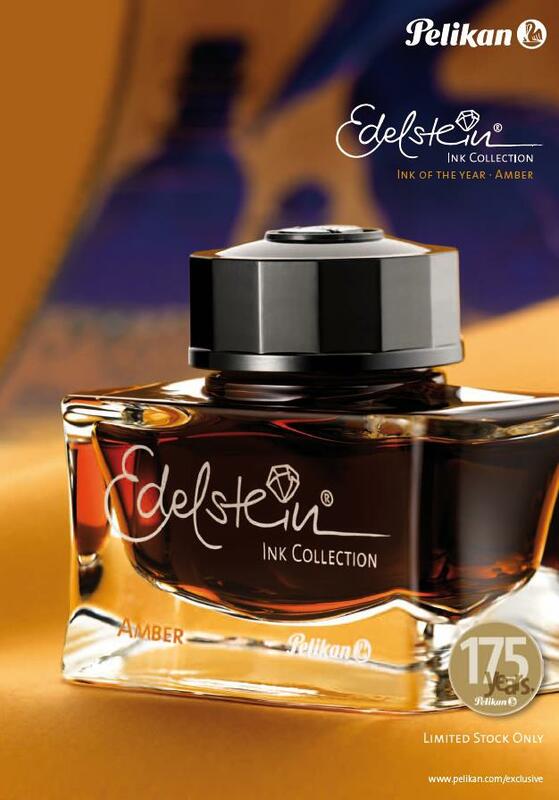 Pelikan Edelstein Amber "ink Of The Year 2013"
What do you all think about the new amber colour? Yeah its hard to have much of an opinion without seeing it in action but I'm very underwhelmed, would have liked a nice purple. Ah well. I'll have to wait for pictures of the actual ink to judge. But if it's really yellow, I will be a little disappointed, since I don't use yellow ink. However, two things in the link do interest me. The gift box is really nice. And it looks like Pelikan USA has lowered the recommended retail price of the ink to $20. If so, yay. And that's overdue. I really like Edelstein inks, but the price premium here in the US has been hard to swallow. Fahrney's is charging $26 and they say it's available 2/26/13; they're charging $25 for all Edelstein inks and $26 for the 2012 Turmaline. Premium pricing? Edited by deenurse, 25 February 2013 - 16:30. Bummer. Todd at isellpens checked with Pelikan and they still are maintaining the $25 retail price. I guess they made a mistake on their website. Hopes dashed. If it's something akin to Sheaffer King's Gold, I'd be interested in it! Yeah, the Pelikan USA website is incorrect. The $20 hasn't been in effect since before summer 2012. Last July they went up to $25 for the regular Edelsteins, $26 for the anniversary editions. I'll let my rep know, hopefully they will update the site to be accurate! I wish it were the lower price. The Amber actually won't be out until sometime in March. I heard from Pelikan last week; the 2/26 date on Fahrney's site was a mistake as well. It hasn't arrived in the US yet. In Germany €13 Euro...with out import taxes or cartage. Back when the Dollar was Almighty, we always asked what was that in real money. Gee the shoe is on the other foot. Well now you know...€13. In real money. Don't know what it is in funny money. $. Seems some folks are charging too much. I love that color ... but $26? Looks nice, but like others i would like to see a test before i buy, particularly in a broad nib. May well be suitable for a new m800 tortoiseshell..
Edited by da vinci, 25 February 2013 - 20:29. Diamine Music Collection £60 for 10 really nice colours, glass bottles, in a presentation box. Pelikan Edelstein about £12 - £15 for one. Guess the Pelikan marketing people do a really good job. Looks like it may have been at least partially intended to reflect the colors of the Brown Tortoise Pelikan pen? “You cultivate the essential virtues: high purpose, intelligence, decency, humility, fear of the Lord, and the passion for freedom.” - William F. Buckley, Jr.
Could well be - however, I'm using R&K Salix in mine. Looks like I'm gonna love the heck outta this one. Sure looks like a real amber to me. Maybe there are even some insects in it. In any case, it thrills me (on screen) much more than the 2012 pink does (even on paper). If it actually resembles amber, I'd be very interested in trying it. 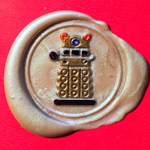 Have you seen Diamine Amber?.. Is that real "Amber"? Actually I think the Diamine marketing company have pulled a stunt. Diamine Inks normally sell for around £6 for an 80 ml bottle. The Diamine composer set is £60 for 10 bottles (£6 per bottle) but they are only 30 ml bottles. Edelstein inks are expensive but they are lovely colours in really classy bottles. I am the real Amber ... all others are but shadows ... and none of these inks look like me. More specifically, did you know that "amber" isn't just one color? Nope.. I always thought amber was just bug juice..